Today is Palm Sunday, the beginning of Holy Week leading up to Easter Sunday. It is also Passover, starting tomorrow. Billions of people around the world will be celebrating this week and many will don personal symbols of faith such as the cross. Even people who are not particularly religious often find inspiration and inner peace from wearing a symbol of faith close to their heart all year round. 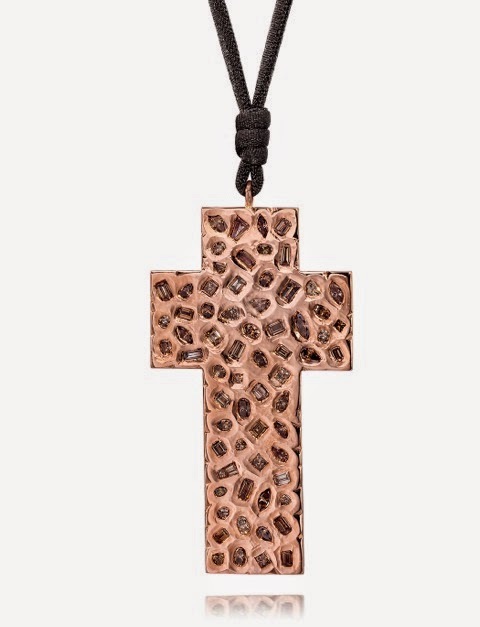 And, elaborate and beautifully crafted crosses are also being worn as statement pieces and are now part of mainstream fashion, all of which makes this a perfect moment to take a look at a new line of inspirational jewelry, LJ Cross, from designer Lisa Jackson. 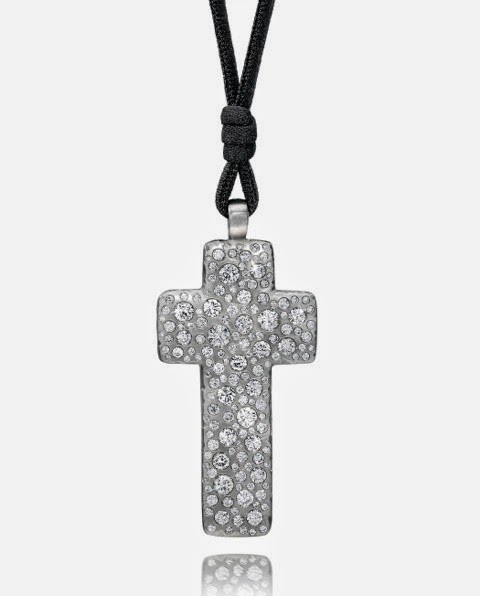 Both an interior designer and now a jewelry designer, (and impressively currently attending Harvard Business School's Executive Program) Lisa Jackson, was inspired to launch her beautiful collection of cross jewelry this February as a homage to her late brother who often wore crosses. Lisa's fine jewelry line is a feminine mix of mostly rose and white gold pieces, some big and bold and glittering with diamonds, some petite and delicate with minimalist style. When I visited Lisa at her design studio this past week I was entranced by some of the pieces and drawn especially to the ones encrusted with diamonds that are a stunning mix of classic style and modern design. Below are some of my favorites. A close up look at the mosaic cross Lisa is wearing above. 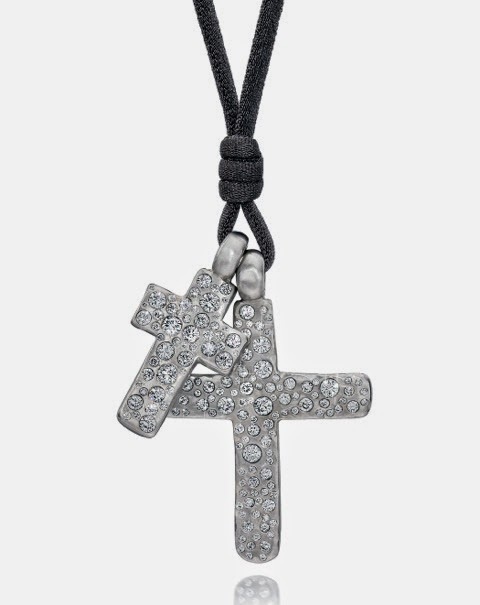 The double cobblestone cross necklace is a trademark piece of the collection. 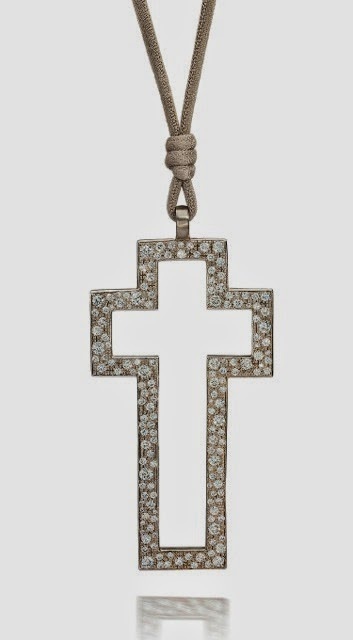 This ethereal moonstone cross is a beautiful statement piece. Another statement piece in rutilated quartz on a ribbon. Very unique! What would a visit to a jewelry studio or salon be for me without the chance to try something on? The open cross diamond rings in rose and white gold called to me. I really like how bold, yet glam they are. 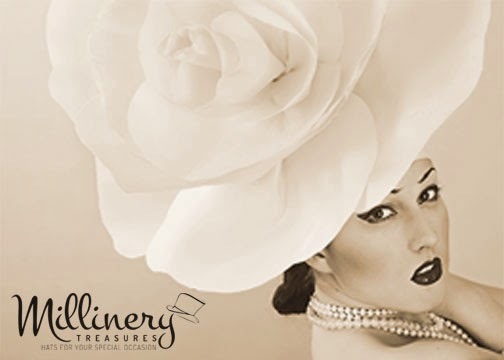 For a more extensive look at the LJ Cross collection you can visit their web site www.ljcrossny.com or visit the Phoenix Roze store on Madison Avenue in Manhattan.